Fatigue and excessive tiredness can leave you struggling to keep up with your normal life. If this is a problem for you, The IVy by HHMD provides IV drips and vitamin injections to reduce your fatigue and improve your energy levels naturally. You don’t have to suffer anymore or rely on caffeine and sugar to get you through the day. Call The IVy's Glendale, California, office or schedule an appointment online today to get started. Fatigue occurs when your body cannot withstand stressors like poor nutrition, irregular sleep, excessive exercise, or a hectic lifestyle. Wellness-promoting activities like a proper diet, adequate rest, and regular exercise can reduce fatigue but sometimes aren’t enough. If your lifestyle has been taking a toll on you for a long time, you may experience chronic fatigue and need additional support. The IVy team provides thorough evaluations to help identify any nutritional deficiencies that may be linked to your fatigue and require treatment. How do IVs and injections help with fatigue? IV drips and vitamin injections replace energy-supporting vitamins like B12 and B complex that poor nutrition, jet lag, excessive exercise, and normal daily life deplete. IVs and injections of B12 and vitamin B complex provide higher doses of these vitamins than you can get through food or nutritional supplements. B12 and vitamin B complex are responsible for supporting energy at the cellular level. They help your cells to create new energy, process fats and carbohydrates as fuel and synthesize proteins for muscle building and normal function of your immune and nervous systems. What can I expect with IVs and injections for fatigue? Your session at The IVy by HHMD begins with a consultation to assess your overall health and wellness goals. 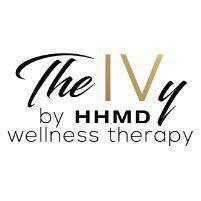 The IVy has an in-house compounding pharmacy to develop a specialized IV drip or vitamin injection based on your specific needs. You will relax in a reclining chair during your visit and have access to amenities like fruit infused water, blankets, hot towels, TV, and music to enjoy during your session. Vitamin injections are quick so you can get in and out when you need to, while IV drips take about one hour. Once your visit is over, you can return to your normal activities and will likely notice an immediate difference in your energy with less fatigue and other annoying symptoms. * Throughout the rest of your day, you’ll notice your energy levels improving as your body fully absorbs all of the energy-boosting vitamins. Fatigue doesn’t have to stop you from enjoying your life. Call or schedule a consultation online at The IVy by HHMD today to learn more.